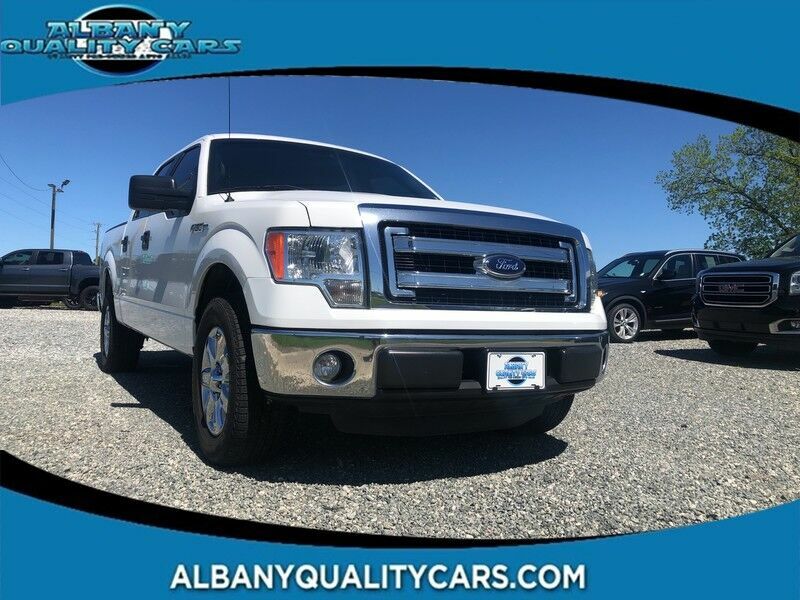 Contact Albany Quality Cars today for information on dozens of vehicles like this 2014 Ford F-150 XLT. Your buying risks are reduced thanks to a CARFAX BuyBack Guarantee. There is no reason why you shouldn't buy this Ford F-150 XLT. It is incomparable for the price and quality. This is about the time when you're saying it is too good to be true, and let us be the one's to tell you, it is absolutely true. More information about the 2014 Ford F-150: With three cab styles, three different bed lengths, and a wide range of models and optional equipment, there's an F-150 configuration for every truck need. Ford also boasts that its F-150 has the only full-size pickup with 6-speed automatic transmissions across the entire lineup. Another feature that stands out, even against rival models from Ford, Chevy and GMC is MyFord Touch, an all-encompassing connectivity and infotainment system. Strengths of this model include A model and configuration for every truck need, standout refinement and ride comfort, fuel-efficient powertrain lineup, and strong towing and payload ratings "OUR LOW OVERHEAD ALLOWS US TO SELL FOR LESS"